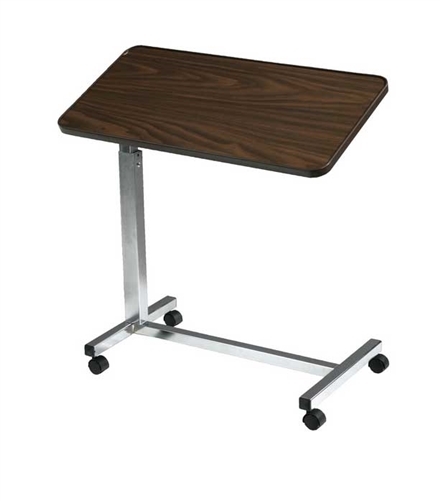 The Drive Medical Deluxe Tilt-Top Height-Adjustable Overbed Table with Chrome Base provides a spacious table area for use by a person while in their bed. 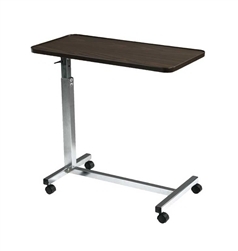 The tilting tabletop surface can be tilted 33° and measures 15” deep x 30” wide and can be raised or lowered in infinate positions between 29.5” - 46”. Some easy assembly required. For proper assembly do not remove bottom screw. Height adjustable from 29.5" - 46"